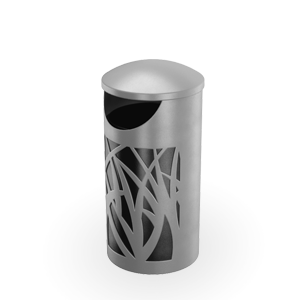 The TallGrass TG2-3000 waste receptacle is a large round top opening heavy duty trash receptacle with style. 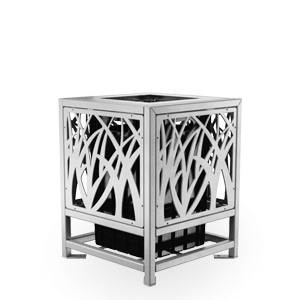 TallGrass receptacles include natural grass pattern laser cut panels into their design. Choose flat, dome, ash or enclosed top; powdercoat or Duracoat finish; and color. 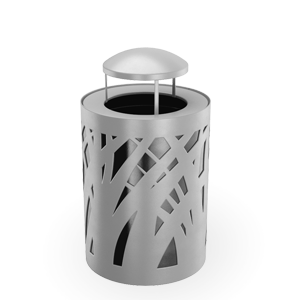 TallGrass receptacles have a recycled material content of 99% of which 87% is post consumer content. This content may vary based on the product design, product material type, and interchangeable piece parts. All styles are 100% recyclable. For more information about SiteScapes sustainable products and policies, please refer to our Environmental Statement.